Melania Trump is as beautiful as she is tough. And if the Left think they will “Sarah Palin” incoming First Lady, they will soon feel her wrath. Mama grizzly Melania won’t have her son maligned. Thus, Melania Trump has threatened to sue the producer of the You Tube video “Is Barron Trump Autistic? Aren’t presidential candidates’ and presidents’ children off limits? Regardless, his sincerity is questionable, and could be a cover for his malicious bullying of a 10-year old boy. The timing is certainly interesting, given that Rosie O’Donnell did essentially the same thing. 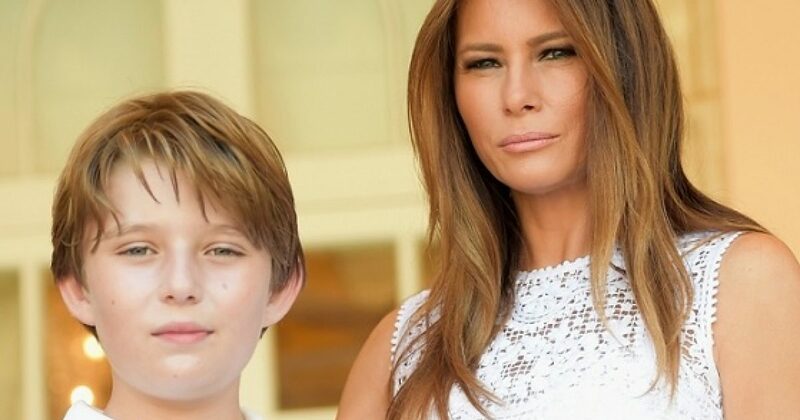 She weaponized the video to attack the Trumps’ innocent 10-year old boy. After taking some heat, O’Donnell “bleach-bit” her abusive tweets. Well I’m glad she cleared that up, as I can remove it from my “Questions to the PTO” list. As for the Left, we know they bring things up for purely scientific reasons, things that resonate. They would not attack innocent children with say, Down’s Syndrome. Just ask Sarah Palin, if you don’t believe O’Donnell. “This video will be deleted in 24 hours and I will publish a full retraction and apology to Melania and Barron Trump,” he added. Bullies never mean to bully. It’s just all those victims are out there, and somebody’s going to bully them. On a side note, the Obama never sued the people accusing Michelle Obama of being a man. Just saying.